A government decision to delay a planned badger cull has been welcomed by Cambridge MP Julian Huppert. Julian has always maintained that a cull should not take place unless that there is absolute certainty that it will prevent the spread of bovine tuberculosis in cattle, and no other working alternative. Julian has received numerous letters from constituents concerned about the government’s plans for a badger cull. He met with leading animal welfare and conservation groups, including the Badger Trust, RSPCA and League Against Cruel Sports, to discuss the issue in depth. 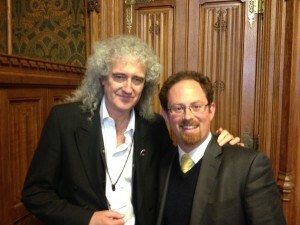 And last week he met Queen guitarist Brian May who is supporting the campaign to save badgers from the cull and who was in the Commons yesterday to hear the news that it had been postponed. He has promised to push for an evidence-based approach to this issue while discussing alternative methods of tackling the problem. “I have continually maintained the position that I do not want any animal to be killed unnecessarily as, as a scientist, I believe that it is vital that any decisions made regarding this issue should be based on reliable evidence,” he said. “My view has always been that we need more evidence, both to check that we can be certain that if a cull is carried out that it will be effective, and to see if an alternative, such as a vaccine would be better. So far, the evidence is not there. Culling may or may not have the desired effect, but we need to be far more sure. “I therefore welcome the statement about the postponement of the cull. It would have been foolish in the extreme to go ahead with it. “Bovine TB does continue to be a very serious problem, however, and something must be done to prevent its spread so that we can avoid the mass destruction of cattle herds which may be affected. The financial impact is also devastating with £91 million being spent by the taxpayer last year alone to tackle this problem. 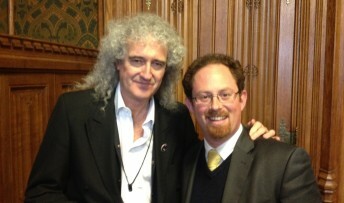 Julian is pictured with Queen guitarist Brian May who is supporting the drive to protect badgers from a government cull.